Our customer testimonials tell our history of bringing you excellent service and peace of mind throughout the reverse mortgage process. It is our desire to offer our customers the best reverse mortgage terms accompanied by extraordinary customer service. I currently work for a top lender in the reverse mortgage industry and when it was the right time for my mom to get her reverse mortgage, I went straight to my friends at All Reverse Mortgage Co. I've worked with them professionally for several years, watching how caring they are toward their customers, and when it was time for my mom and me to be cared for, they did not disappoint. They know this business inside and out, backwards and forwards. Not only was this transaction smooth, timely and a great deal, I've watched so many they've done just like this. Worried yours might be a little complicated? These guys dive in, get their hands dirty and help to figure out any solution they can. I enjoy working with them on a professional level and was impressed and grateful for what they did on a personal level. "Could not be more satisfied. Product is one of the few structured financial instruments that may be fair to consumers under appropriate circumstances. (That's why Wells Fargo and Bank of America are leaving the market.) All reverse got my paper because of superior service, including pointing out a better deal than I had been ready to sign for." "Thank you so much for your courtesy, experience and knowledge. You definitely made what could be a stressful experience very simple and clear"
"This has been the most pleasant experience we have ever had with any mortgage company"
"You handled all of our questions and concerns with sensitivity and professionalism. We felt that you really valued our business and you always went the extra mile"
"We are very pleased with the whole process and with everyone involved. We would recommend you to our friends, thank you so much for such professional service"
"Many thanks for the help I received from you and your staff. I�m living in "cloud nine" Keep up the good work with seniors, you are superior." "You exhibited a high degree of knowledge, professionalism, patience, and courtesy through the whole process"
"Everyone we dealt with was pleasant, patient, and well informed"
"All Reverse was very patient and clearly explained the loan program. The loan funded in just 4 weeks! We are very happy"
"Everyone at All Reverse Mortgage was friendly, helpful, trustworthy and knowledgeable"
"We were treated with the highest degree of professionalism and made to feel comfortable during the process, thank you for a job well done by all who worked so hard to make this possible "
"Being a real estate broker with over 32 years experience I can attest to your great service and professionalism. I will refer you to my clients"
"The clarity of the paper from process and speed of the results of your company preformed was phenomenal"
"Both my husband and I would like to express our gratitude for the professionalized service rendered to us by All Reverse Mortgage"
I am glad that I choose All Reverse Mortgage Company for help. I was always treated very graciously. My calls were returned right away and my e-mails were always answered quickly. I am a Real Estate Broker and can tell you from my 12 years in the business that Mike Branson JR. never gave up on me when 99.9% of mortgage broker would have just said it was rejected and closed it out. They courteously & promptly answered all my questions, making the experience simple. Any time I had a question I called them for an answer & ALWAYS received a prompt return call if they were busy. All Reverse Mortgage did an excellent job assisting me in obtaining a reverse mortgage. Cliff was very professional and patient. He walked me through the entire process and took the time to answer all my questions. The service was GREAT!!! 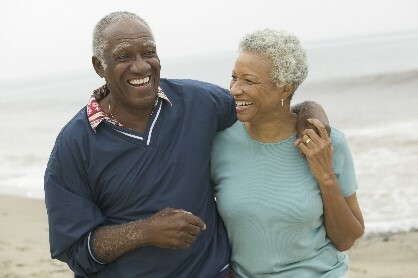 We highly recommend All Reverse Mortgage Company if you're in the market for any kind of reverse mortgage. They will give you the best rates and walk you through each step along the way. Your firm definitely fill a much needed service in this challenged financial environment. You ought to be very proud of Jr. He, as well as you are True Professionals. Keep up the Great Work and Much Success. We have done business with many mortgage companies over the years and have been satisfied with them all. None performed nearly so consistently well however, as All Reverse's Cliff and Caren did on our behalf. I recommend them to you without reservation. Very first class job by All Reverse in explaining, costing and then delivering our reverse mortgage. They were the best value for us (compared to three others) and then All Reverse delivered in record time to closure (under 5 weeks!). You can be very proud of the service you provide. We are very impressed and appreciative of what you have done for us. Clockwork-like process: -No glitches, anticipation of all of our questions and concerns throughout, closing the deal early, in less than a month. All Reverse Mortgage is active in the industry and is a valuable and knowledgeable company. Definitely, a company I would feel comfortable sending my parents to get educated and work with! You and your company did an AMAZING job in getting us the best reverse mortgage in a most professional way. The process was smooth from start to finish! They kept me updated at all times! They made me the best offer and there were no "surprises" later! Thanks All Reverse! Our family would recommend working with them as we found them to be friendly, ethical and professional. Hand Written Reviews ... Click on any image to enlarge it.